Happy New Year everyone!! Hope you all had a wonderful start to the New Year. We were at a nice party with friends on New Year’s Eve. I cannot believe it’s already 2011. Where did 2010 go? I was just getting used to writing the date with a ’10, and now I have to start writing it as ‘11. With time flying, the kids seem to be growing up quickly too, every day, every moment. Lil imp is 2 1/2 and he is the funniest ever. Now, he understands everything we say and knows the difference between 'I' and 'you' very well. (He used to have trouble getting 'I' and 'you,' for example he would say “you are hungry” when he means he is hungry.) He hates "time outs" and hates my high pitched voice. The other day I was raising my voice to convince him of something and he told me "amma, time out!" I just stood there wondering if I should laugh or keep the angry face till I got my way. Kids! What do we do with them, what do we do without them! Another year has been granted to figure out the puzzles of life and I welcome it with a grateful heart. Happy New Year again and may you have sweet melting moments! 1.Whisk together the flour, corn starch and salt in a mixing bowl. 2.Beat the butter and sugar until it is creamy. 3.Add the vanilla extract and mix well. 4.Add the flour mixture and beat well to mix everything. 5.Cover and refrigerate the dough for at least 30 minutes or until it is firm. 6.Preheat the oven at 350 degree F. Line 2 baking sheets with parchment paper. 7.Make 1 inch balls out of the dough and place them on the prepared cookie sheets, an inch apart. 8.bake for about 12 minutes or until the sides start to brown. 9.Cool on a wire rack for a couple of minutes. 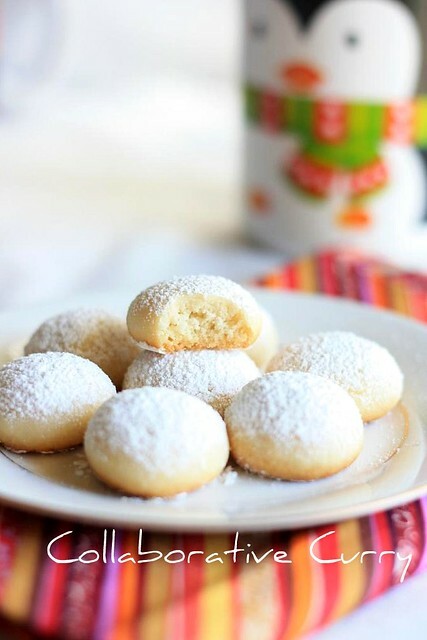 10.Meanwhile line a baking sheet with parchemnt paper and sprinkle confectioner's sugar over it.Place the cookies on the paper and sprinkle more sugar through a sieve, on the top. 11.Cool them completely before storing. This melting cookies are truly excellent! Awesome clicks, Nami..Wishing you both a very happy and prosperous New Year!! Wonderful...real melt in mouth cookies,looks so cute and inviting. Looks excellent.. this once sure melts everyone... Beautiful. Melting moments looks delicious sure they melt in mouth. 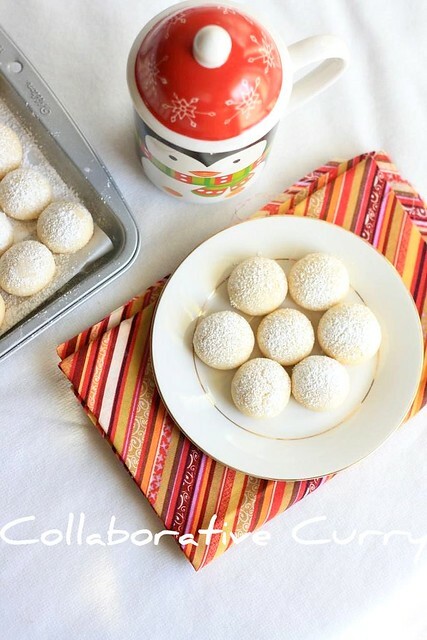 Really it looks that its snowing in your kitchen.Beautiful cookies..love the simple recipe! Wish you a wonderful 2011 ! Your melting moments look so cute, pretty & tasty too! A Happy & fun 2011 filled with joy & good food! What beautiful cookies! I love anything that melts in your mouth! Yummy! Kids! You're right, and they will continue to amaze you. I can't believe my daughter just turned 16! 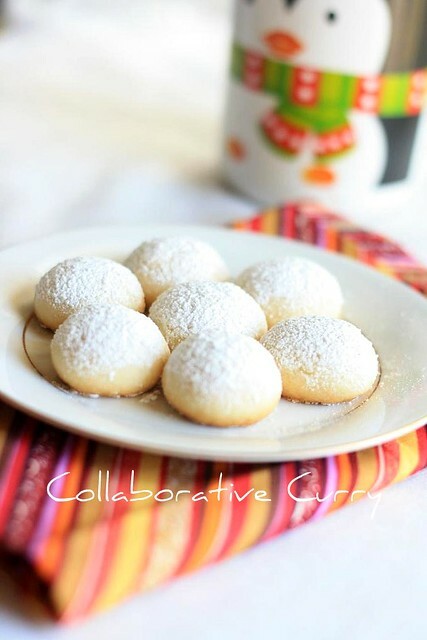 Perfect looking cookies..... Nice and simple recipe... Looks so good. YUM! Cookies looks very delicious ! Melting moments Indeed !! !..Ur clicks are so crisp and perfect..Cookies have turned out Perfect as well..Ur funny little stories abt ur family always puts a big smile on my face..Great post to begin 2011.
love it... looks so cool! Wow absolutely lovely! These look gorgeous and yummy! The cookies look perfect n delicious. Very nice. hmm they look like they really do melt in the mouth. i must save this and try it sometime soon. happy new year to u too dear and specially to ur lil one too :) ...cookies is just perfect to celebrate...looks soo tempting and cute..
Looks wonderful! Bookmarked,would love to try it out soon! Quite simple yet crispy and delicious cookies. Love to give a try soon. These look so pretty! I would love some too. Beautiful.. Cn feel it melting in my mouth.. Happy New year to u too! Delicious looking cookies!! Love the pictures. Have a wonderful new year. He he he..kids are funny :) Here he always says Abhay ku vishakunu,Abhayku uranganam etc.Njangal eppozhum peru vilikunondu he doesnt know nee,eniku :) Mon malayalam thane ano veetil samsarikaru ? Liked ur melting moment and the snowy effect !still snowing there ? :( Here it getting better now. Happy New Year! Mmmmm, nice, melt in the mouth! Simple recipe, easy to make and amazing clicks!! Lovely post! Adipoli nami..all time kid pleasers..and my kids will finish that in seconds, YUM!! wow, absolutely fantastic recipe, can i have some? Cookies look delicious and clicks are amazing. I used to love making melting moments when I was young, they're delicious - so soft and such a tender crumb. Your shots of those melting moments are great. These look great and just goes well with your New Year wishes. Same to you dear. I am often dumbfounded by the things my kids say even now that they are teenagers. I guess that's what makes it so challenging and rewarding at the same time to be a parent :) Your melting moments look inviting. Happy New Year! 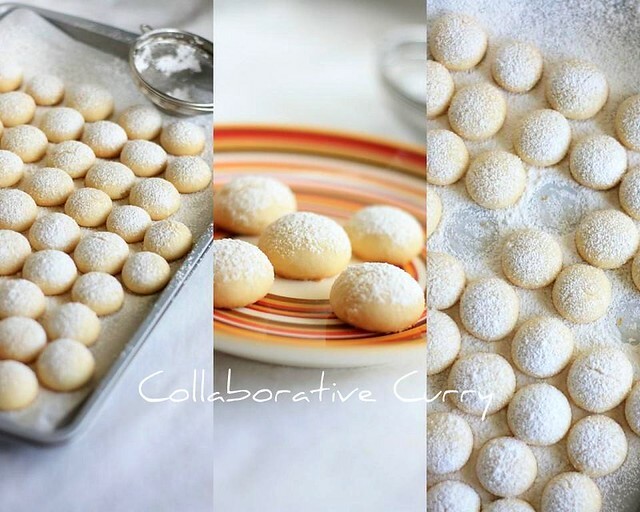 wow...melting moments really melting my heart...simply rich n divine..
What gorgeous cookies - like little snowballs! Happy New Year - wishing you all the best in 2011! what a beautiful pictures! these look delicious! Happy New Year! I totally love your pictures- it's so crisp and neat. The food looks inviting too, yum! Hey, I just started my own blog and would love if you could take a few moments to visit, and share your thoughts. Thanks for your support! Nice Presentation and Looks like as the Name, Meltingggg.... . Perfect combination for Snow, I will definitely give it a try. I have posted some seasonal recipes too, please check out here..
How are you? ( I skipped Namitha this time ). I like this cookie very much but never tried at home. May be someday I will start baking again.